In recent years Avda Del Prado has become a magnet for buzzing new bars and restaurants. Just 2 km from Puerto Banus and 6 km from Marbella town, Aloha Gardens is situated on the main street "Avenida Del Prado" in the heart of Nueva Andalucia's 'Golf Valley'. Directly outside the Resort one is spoilt for choice with a wide selection of lively bars, coffee shops and eateries. Shops and supermarkets are all within easy walking distance and for the ultimate shopping experience the department store "El Corte Ingles" is less than 2km away. 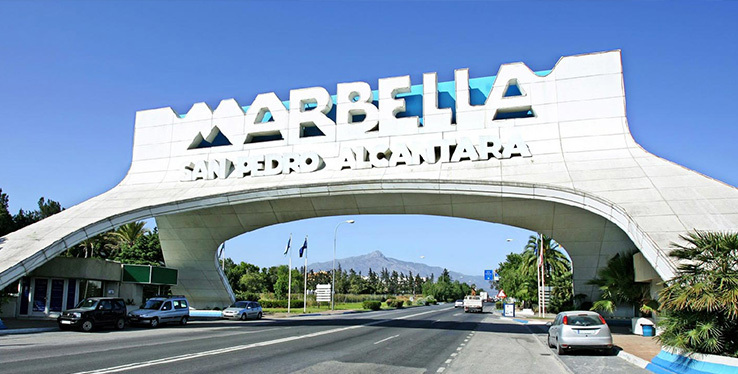 The glamorous upmarket town of Marbella is without doubt one of Andalucia's major tourist centres. The charming Old Town oozes character and hints of its former Moorish occupation. 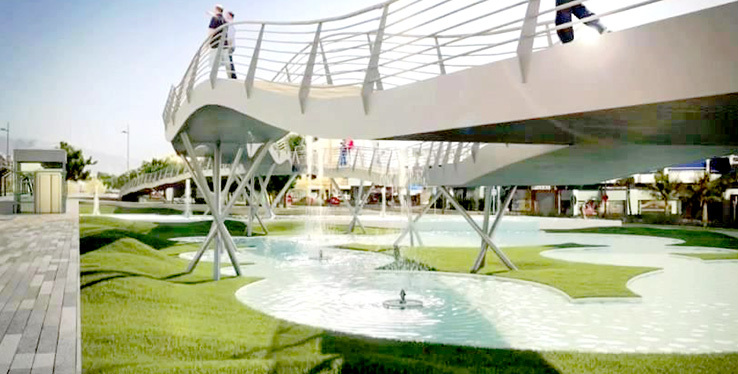 The promenade stretches 17km and is lined with more than 40 beach restaurants (Chirringuitos), passing through the famous Golden Mile and connecting to Puerto Banus. La Cañada is an indoor shopping mall located on the outskirts of Marbella and in the town centre the main high street "Avda Ricardo Soriano" is bustling with shops. Market day is Monday. Glitzy and Glamorous luxury marina and home to some of Europe's most luxury cars and yachts. Dazzling whitewashed buildings, pleasant plazas, boulevards with designer shops and wide sandy beaches. Spend the day at one of the popular beach clubs such as La Sala by the Sea or Ocean Beach, where for a daily entry fee you can use their facilities in relaxing surroundings. If it is nightlife you are looking for then Puerto Banús is the place to be, but be advised things really come alive until after midnight so be sure to pace yourself! San Pedro has become increasingly popular in the last few years, partly due to a newly generated boulevard which has been built over the main coastal highway. To one side is the old quarter with its narrow cobbled streets and tiny local stores, and on the beach side are new urbanisations, long stretches of beach and a charming promenade. San Pedro’s Cable Ski/Wakeboard Centre is located on a beautiful natural lake and a great day out for all ages and abilities. Market day is Thursday. 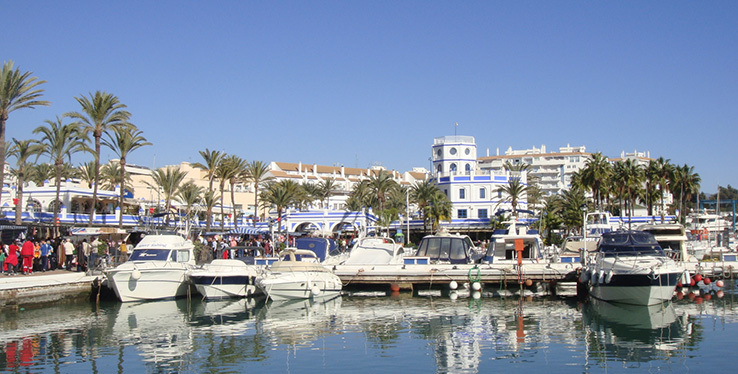 Estepona is one of the few coastal towns to have retained its pueblo charm and character. Its focal point being a wonderful Marina with more than 400 berths, shops, restaurants, bars and children’s play areas. The charming old town has an abundance of small shops offering locally made produce and goods, the 20km of coastline is renowned for its "Blue flag" beaches. The 'old town', as it is known, is a bustling and atmospheric centre. Also in the area are several museums and golf courses. Market day is Sunday. 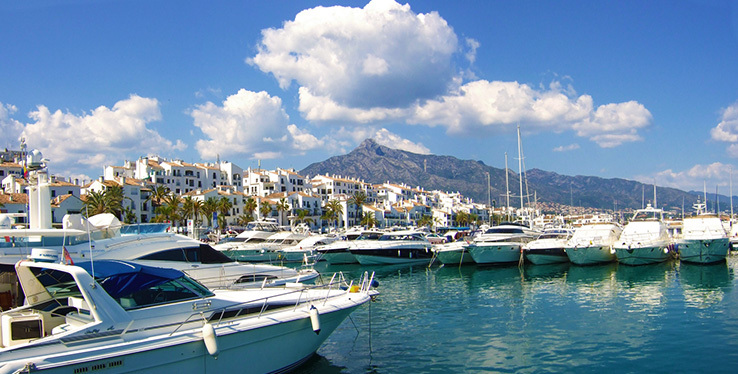 Exclusive Serviced Apartments near Puerto Banús. Get great offers straight to your inbox.